ScotRail has installed ‘Grace’s Sign’ at accessible toilets in its stations across Scotland. 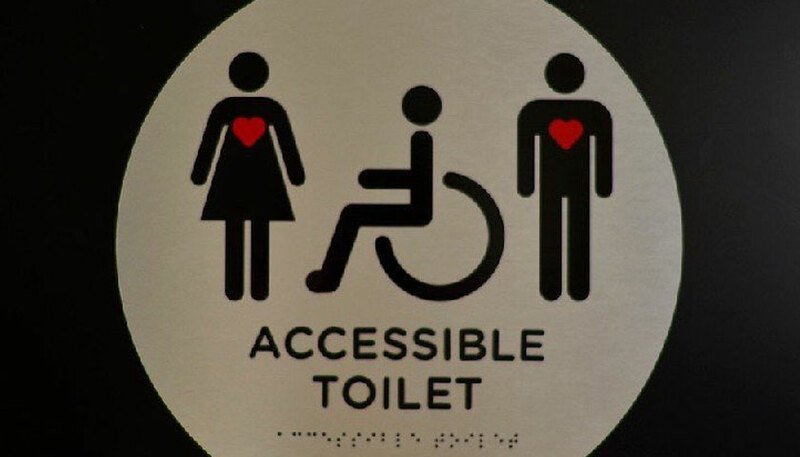 Grace’s Sign is a bathroom sign that includes both a person in a wheelchair and a standing person with a heart, symbolising people with invisible conditions. Thirteen-year-old Grace Warnock, who has Crohn’s Disease, came up with the idea for a more inclusive sign after facing criticism from strangers when she used accessible toilets. The innovative signs can also be found at other locations across the country including at the Scottish Parliament, V&A Dundee and St. Enoch shopping centre in Glasgow. “We are committed to making Scotland’s railway open and accessible to all and installing Grace’s Sign at our stations is just one of the ways we’re doing that. “Grace’s idea of an inclusive sign is a simple but effective way to highlight the accessibility challenges faced by many passengers. “I am delighted to see this inspirational young individual’s idea put into practice on our rail network as it demonstrates shows the benefits of listening to and acting on the views of affected groups. ScotRail has also made it easier for people who are disabled, pregnant or less able to stand, with a trial of pin-badges on the Edinburgh to Glasgow route to make priority passengers easily identifiable and to encourage all customers to be more considerate. These badges will be made available in display boxes at Glasgow Queen Street, Edinburgh Waverley, Haymarket, Falkirk High, Polmont and Linlithgow booking office counters to allow customers to help themselves.